I’m back from Iowa and ready to start drinking some cocktails again. This week I’m going to tackle the Maiden’s Prayer cocktail which sounds wonderfully fruity and delicious. Not surprisingly I’ll start with the Joy of Mixology recipe. When I was at Tales of the Cocktail in July I met Steven Williams one of the reps from Pacific Distillery located in Woodinville, WA. We struck up a conversation and I was intrigued to hear that they had recently released a new gin. When Steven heard that I was from Colorado we reached an agreement. I would send them a bottle of Leopold Brother’s Gin and in return I’d get a bottle of their new Voyager gin. I followed up on my end of the deal and my bottle of Voyager arrived shortly after my shipment headed West. Naturally, I didn’t waste any time in opening it. 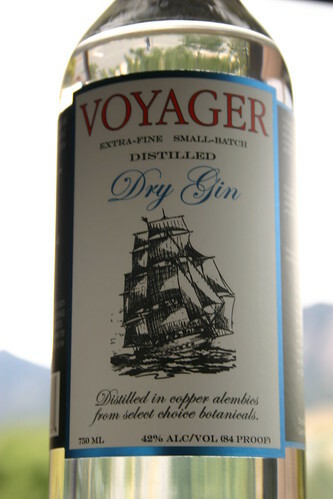 Voyager is a small batch gin distilled in alembic copper pot stills. The botanicals used are pretty traditional as their bottle points out. They include juniper, coriander, licorice root, cardamom, anise seed, lemon, orange, orris, angelica, and cassia. In the aroma you’ll first pick up the juniper, followed by citrus, orange primarily, and hints of the other botanicals. Overall a tremendously pleasing start to my tasting. As you take your sip the first thing you’re going to notice is a very light subtle sweetness. Then the botanicals start to come out. The cardamom comes through first accompanied by the expected citrus and juniper. This gin isn’t boldly junipery but rather blends the flavors of all the botanicals very evenly. I think it would work tremendously well in a Ramos Gin Fizz or a Martini. Basically you want a recipe where the gin can really shine through. Finally, I circle back to the subtle sweetness of this gin. It’s really a pleasing twist and I find myself wanting to simply sip on this gin neat which is certainly something I can’t say about most gins. In summary this is a great gin that you should definitely look at picking up if it’s available in your area. I’m not going to feature a cocktail this week. Instead I’ll be posting a couple reviews that I’ve been meaning to get to. I’ll resume regularly scheduled programming next week. Well, the first thing I have to say about this cocktail is that if drinking it makes me lady like then lady like I shall be. 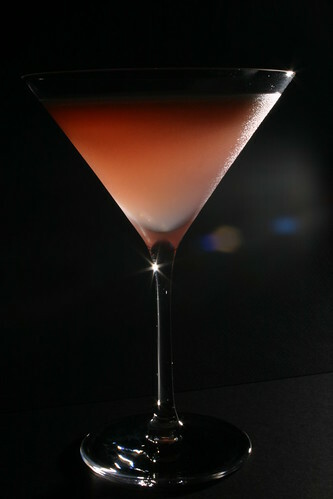 The Pink Lady is another example of a tremendously tasty pink cocktail. The pink color is quite light, somewhat akin to Pepto. Thankfully the aroma and flavor don’t follow suit. In the smell you’ll find a very pleasant hit of citrus and the gin peaking through lightly. The flavor is a great balance of sweet and sour. Interestingly the applejack doesn’t shine very strongly, but it’s flavor is missed if you remove it. I sampled a few different recipes and found them to be very similar. One interesting difference I encountered was the recipe in Diffords Guide #7 . This variant calls for more grenadine (1/2 oz) drops the lemon juice down (1/2 oz) and says the applejack (or apple brandy in this case) is optional. I found this combination less balanced. The drink was noticeably sweeter. The other interesting twist that I found in my brief search was the recipe in The Savoy Cocktail Book . This recipe called for only grenadine, gin and egg white. I don’t think this version sounds particularly tasty without the lemon juice sourness. Erik Ellestad over at Underhill Lounge actually gave the Savoy recipe a mix and found what I expected to be true. It’s not a good combo. If you’re going to mix up a Pink Lady go with the recipe from The Essential Bartender’s Guide . If you go this route you definitely won’t be disappointed. Naturally you’ll use fresh juice and good grenadine, so I’ll only mention those briefly. Enjoy your drinks! I’m back with another pink cocktail this week. Despite my previous concerns they’ve always worked out well for me in the past. So, here we go. This week I’m mixing up the Pink Lady or as Ted “Dr. Cocktail” Haigh calls it, the Secret Cocktail. You know, so the guys don’t feel embarrassed ordering one (thanks go out to Robert Hess for the quote :). This drink is very similar to the Clover Club that I covered a few weeks ago. The key difference here is the addition of applejack. Sounds like a plan to me! Gary Regan doesn’t cover this cocktail in The Joy of Mixology so I’m going to use another great book as my starting point this time, The Essential Bartender’s Guide by Robert Hess.